A modernisation project on a small-scale farm producing tomatoes and flowers. Thanks to EAFRD support, the business now has a more modern approach to the management of its greenhouses and consequently productivity and competitiveness has increased. Gościeszowice Farm is a small-scale enterprise located in the Lubuskie Voivodship in western Poland. The farm has a total of 5.16 ha of land, including 0.5 ha of tomatoes and 0.16 ha of chrysanthemums. The farm has a glasshouse (3 300 sq. 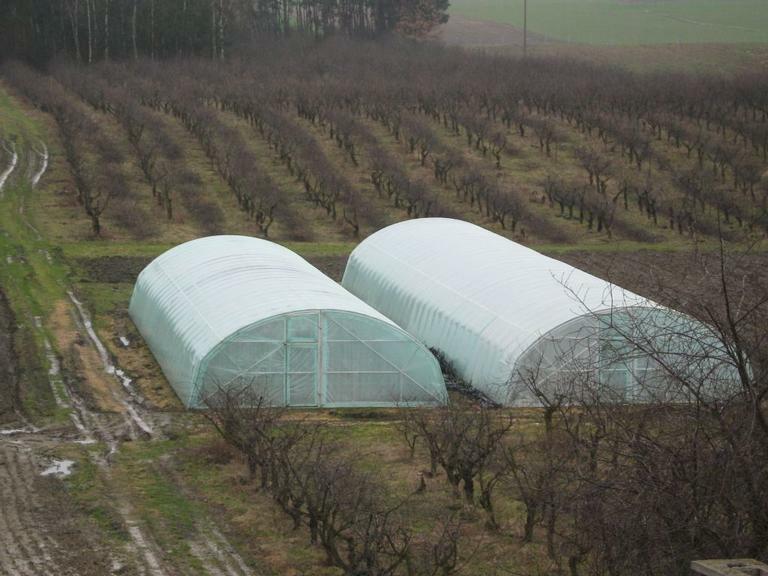 metres) and two plastic greenhouses with a total surface of ​​1 880 sq. metres. The overall aim of applying for EAFRD investment support was to increase the productivity and competitiveness of the farm. Specific objectives included: 1) Purchase of a climate control system in the greenhouse; 2) Purchase of more modern farm equipment, and; 3) Improving access to the farm with a new road and area for vehicles to manouvere. The project includes the purchase of a specialized system for climate control in the greenhouses (PC, software and accessories), plus various equipment for working the greenhouses. This included a plant trolley, high pressure sprayer, and small tractor and front-end loader. The farm road was also upgraded to improve access and turning space for larger vehicles. EAFRD co-financing for farm modernisation (under measure 121) has led to significant improvements in the output and quality of tomatoes and flower production on the farm. Investment in modern infrastructure, equipment and computer software has greatly enhanced the competitiveness of this relatively small enterprise deep in rural Poland. EAFRD co-financing can support the modernisation and development of even relatively small-scale enterprises and can greatly enhance productivity and competiveness.